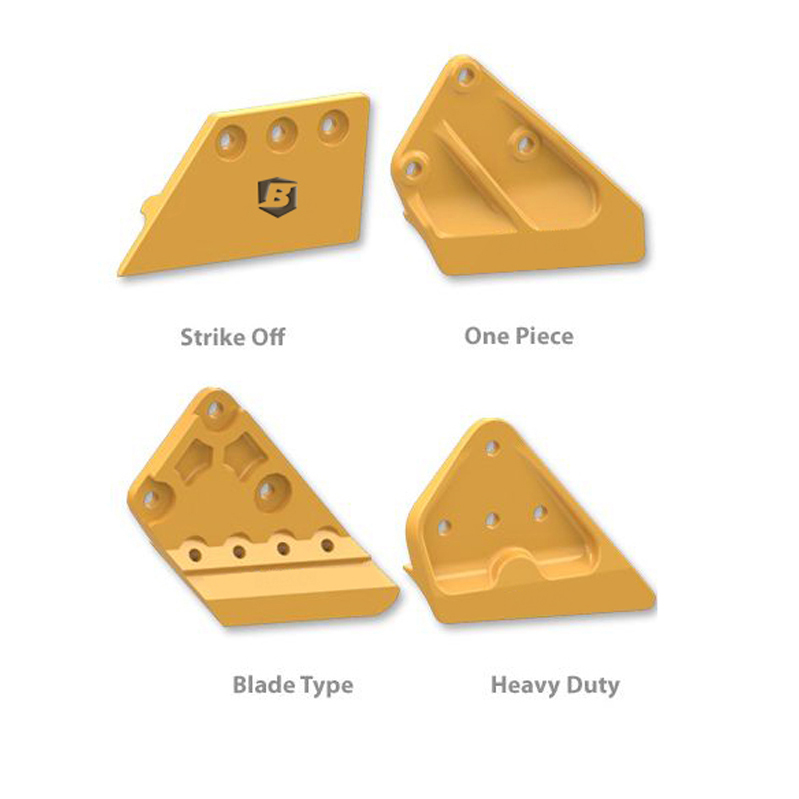 OEM replacement or custom design edges, weld in bucket base edges, straight or serrated bolt-on edges, wide range of teeth and adapters, side cutters and strike off plates, weld in corners, wear bars, safety steps. Weld-on Heel Shrouds protect high-wear and impact locations on a bucket, protecting the equipment. While excavators are a generic product line on the surface, there are a number of options and accessories to consider. Most excavator buckets have with a single bevel flat weld-on edge along with a handful of weld-on adapters evenly spaced along the width of the bucket (or length of the edge). Depending on the size of the bucket and the application it is working in, these weld on edges vary in thickness up to 3”, up to 24” wide and generally come in lengths from 12” up to 96” and longer, though any combination is possible. 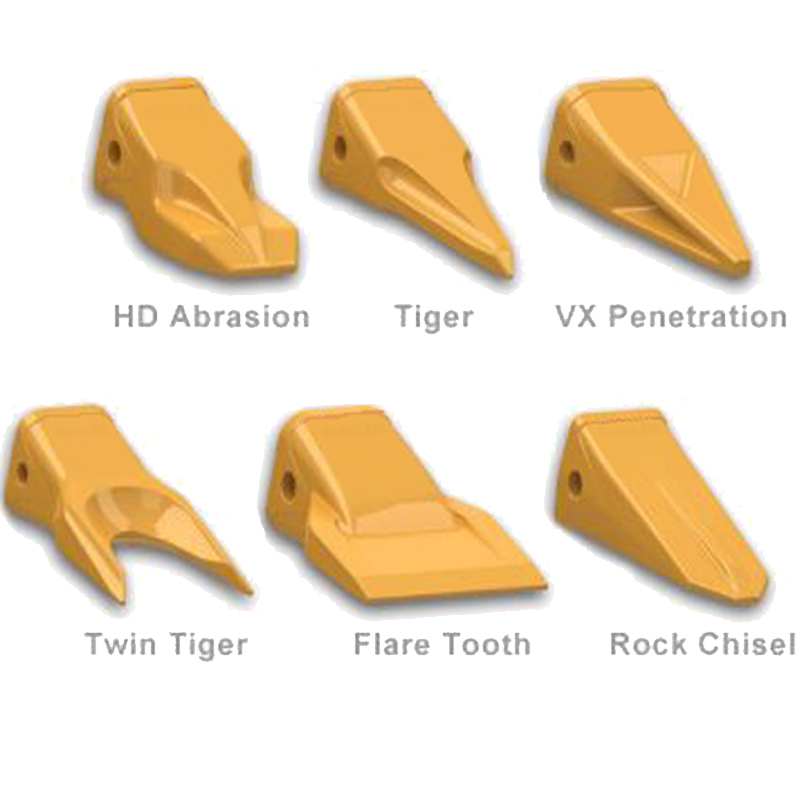 We offer industry standard bevels, as well as customized bevels and noses to match any adapters. Bolt-on edges, which have been common in Western Canada for a number of years, are starting to gain wider acceptance. These bolt-on edges are available in a standard straight edge for looser material as well as a serrated version which offers increased penetration like a tooth and adapter arrangement while maintaining the smooth floor of a flat edge. Bolt-on arrangements are commonly available in a one-piece or three-piece systems, 7/8” through 1-1/2” thick and 13” or 16” wide. 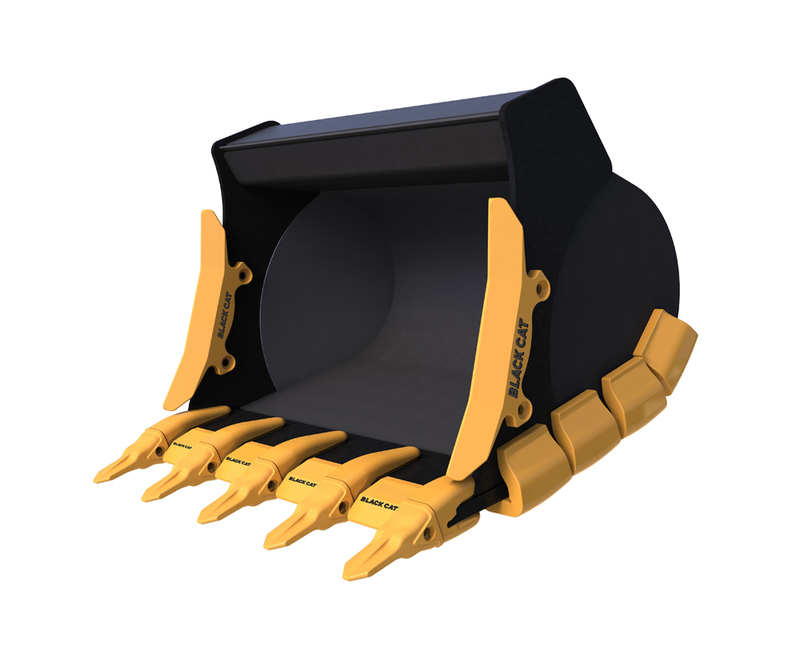 Base edges on existing buckets can be modified to accept these bolts on edges or Black Cat can produce a pre-drilled version to meet the requirements of any excavator bucket.